***Huge SAVINGS!! 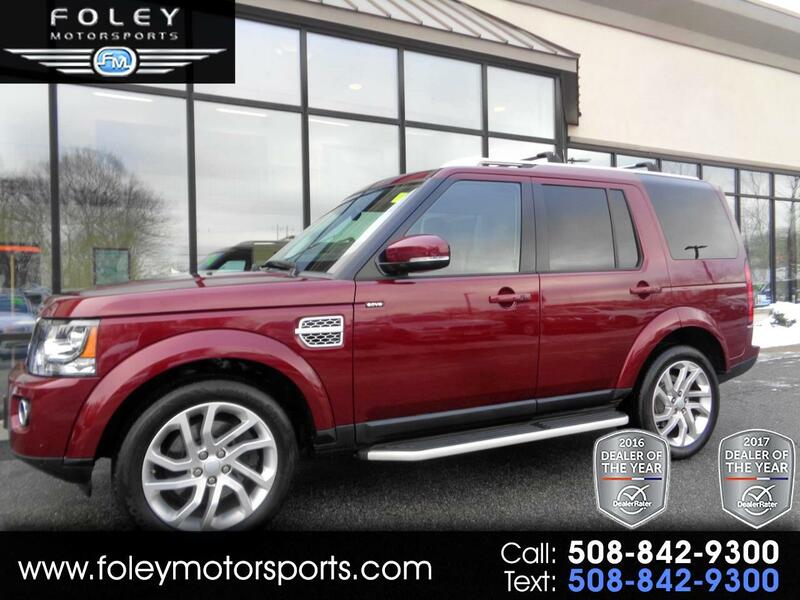 *** Land Rover LR4 HSE Luxury... 20'' Wheels, 3rd row, Tow, Org MSRP of $66,931!! Unbeatable VALUE!! 2016 Land Rover LR4 HSE Luxury 4WD Sport Utility... Montalcino Red on Arabica/Almond Premium Leather... 340hp 3.0L Supercharged Engine... Permanent Four wheel Drive... Intelligent Start/Stop... 8-Speed Automatic Transmission... Like NEW Condition... HSE LUXURY package... Sirius XM Satellite and HD Radio... InControl Apps... Tow package... 20'' 6 Split Spoke Sparkle Finish Wheels... Protection Package... Heated Front and Rear Seats... Navigation System... Rearview Camera... Bluetooth hands-free... Meridian Audio System... Power Tilt and Slide Front Sunroof and Fixed Alpine Roof... Front and Rear Parking Aides... Xenon Headlamps and much more!! ***ORIGINAL Sticker MSRP of $66,931*** CAR FAX Certified 1-OWNER Vehicle with Land Rover Bumper to Bumper Warranty Coverage Included!! Please feel free to contact our experienced sales team with ANY questions or to schedule a test drive. Buy with confidence from the area LEADER in Pre-Owned LUXURY. Additional 5 Year/100K Extended Warranty Coverage Available. ALL of our vehicles are meticulously detailed and serviced by our factory trained certified technicians. Call or email us at sales@rjfoley.com **$0 Down** 100% financing available with great rates! Trades are always welcome. National and International shipping quotes are available.